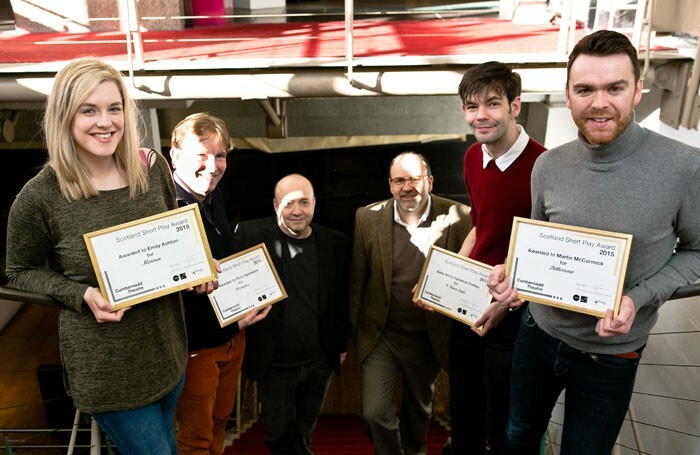 Playwrights Ross Dunsmore and Martin McCormick have won at the inaugural Scotland Short Play awards. They join Cameron Forbes and Emily Ashton as winners. All four winning plays have been performed at the Cumbernauld and Traverse theatres. McCormick is a nominee at this year’s Critics’ Awards for Theatre in Scotland for his play Squash, while Dunsmore’s first full-length play The Gift won Rondo Theatre’s 2014 Quick and Dirty playwriting competition. 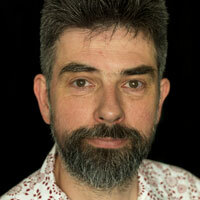 The short play competition was organised by Cumbernauld’s associate artistic director Tony Cownie. It drew 119 entries of 15-minute scripts, written by Scottish residents, which had not been professionally produced. From the entrants, nine playwrights were given a day’s workshop with a professional director and actor, before redrafting their scripts for final submission. Each of the winning writers won £1,290 – a quarter of the commission fee for a 60-minute play. Cownie described the winners as “a nice mix of new and old writers”.